Trade policy has played a central role in the public debate about the EU. 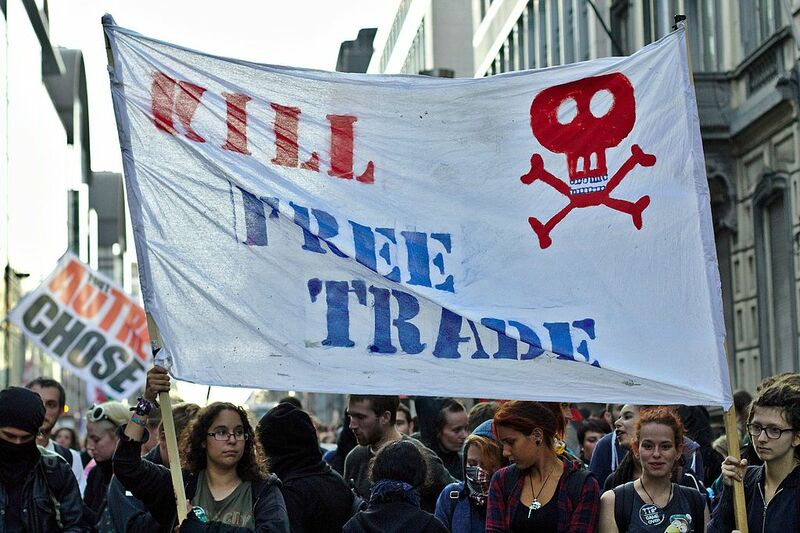 TTIP negotiations were routinely accompanied by large-scale protests from the very beginning. That deal has since been mothballed, largely due to US President Donald Trump’s change of policy since his election victory. The EU-Canada trade deal, CETA, was similarly controversial and it could only be agreed at EU level after a number of changes were made. From mid-September it will be provisionally applied, with finer points like arbitration courts coming into force after full member state ratification. Recently, EU-Japan negotiations were in the spotlight, after both parties announced a “fundamental agreement” regarding the deal. But this is far from the end of the story, as highlighted by a letter sent by the German economy ministry to the Bundestag. “In addition to implementing the CETA agreement, there will be a rapid signing of free trade agreements with Singapore and Vietnam, as well as concluding ambitious and comprehensive deals with Japan, Mexico and Mercosur, and progress on talks with India, China and the Philippines. “Under the Estonian Presidency [of the EU], a mandate for negotiations with Chile, Australia and New Zealand is also foreseen,” the letter explained. There is also the small matter of the TiSA (Trade in Services Agreement), which has been in the pipeline since 2013, as well as the EU’s so-called Economic Partnership Agreements (EPAs), which Brussels negotiates with economically weaker countries and trade blocs. Exclusive competence over negotiating trade deals on behalf of the member states was first granted to the EU by 2009’s Lisbon Treaty. UK Brexit minister David Davis called on the EU on Sunday (20 August) to relax its position demanding that the two sides must first make progress on a divorce settlement before moving on to discussing future relations. This week, the UK government will issue five new papers to outline proposals for future ties, including how to resolve any future disputes without “the direct jurisdiction of the Court of Justice of the European Union (ECJ)”, Davis said. “I firmly believe the early round of the negotiations have already demonstrated that many questions around our withdrawal are inextricably linked to our future relationship,” Davis wrote in the Sunday Times newspaper. “Both sides need to move swiftly on to discussing our future partnership, and we want that to happen after the European Council in October,” he wrote, saying the clock was ticking. EU officials have said there must be “sufficient progress” in the first stage of talks on the rights of expatriates, Britain’s border with EU member Ireland and a financial settlement before they can consider a future relationship. That has frustrated British officials, who say that until there has been a discussion of future ties, including a new customs arrangement and some way of resolving any future disputes, they cannot solve the Irish border issue or financial settlement, two of the more difficult issues in the talks. On the role of the ECJ, Davis said Britain’s proposals would be based on “precedents” that do not involve the “direct jurisdiction” of the court, which is hated by many pro-Brexit ministers in the governing Conservative Party. EU officials say the court should guarantee the rights of EU citizens living or working in Britain after Brexit.